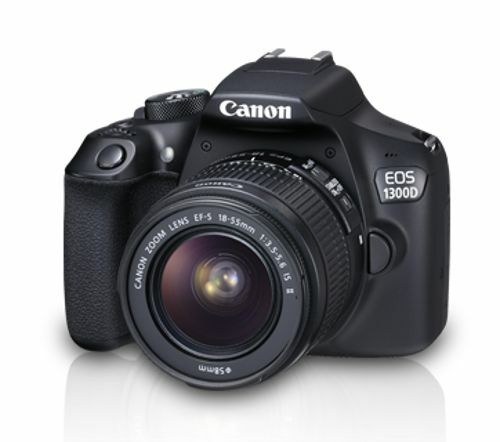 Especially fabricated keeping in mind your ardent passion for photography, this Canon EOS 1300D Kit Dslr Camera (with EF S18-55 IS II Lens) will give you serious photography goals. The camera is decked up with 18.0 Megapixel APS-C size sensor and DIGIC 4+ image processor to provide you with incredible and pristine pictures. 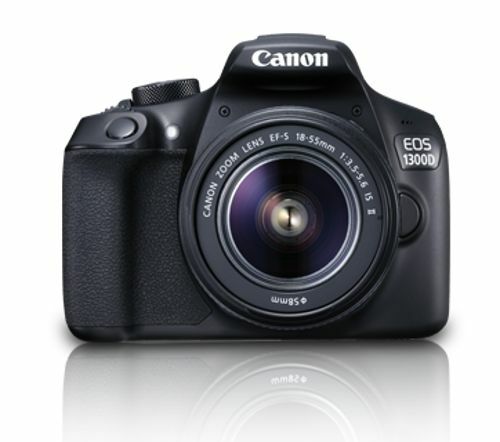 This makes for an ideal first DSLR, with its easy and hassle free usage and professional results. The device will capture your memories like any other cameras but with more accuracy and true colours making it more lively. Scroll down to learn more about its features. . . 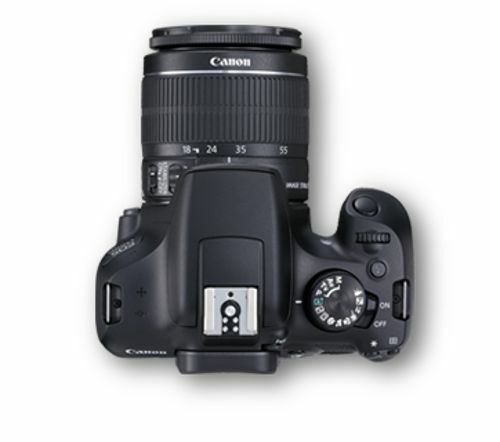 This Canon camera gives you the option of using the lens as wide as you want for capturing the right frame with the flexible zooming option in your photo. It can be used with over 70 EF/EF-S lenses and this range provides the option of selecting just the right one. 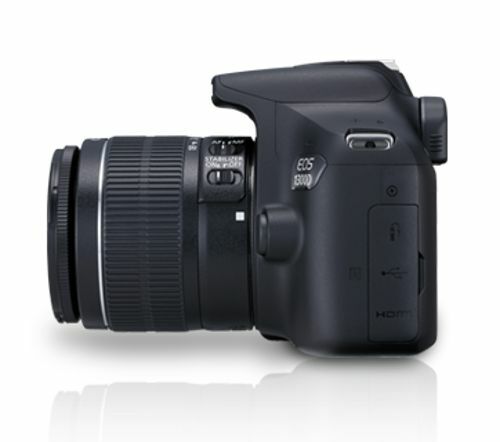 So, capture all the picturesque landscapes and expand your range with this camera magnificently. The camera is equipped with APS-C CMOS sensor is nearlt 25 times bigger than normal 1/3.2 inch type sensors and hence provides you more clarity than the others. You can capture even the intricate details with the tru-to-life details. Now, the images you capture indoor and in low light will be equally attractive and enthralling with the help of DIGIC 4+ image processor of this camera. 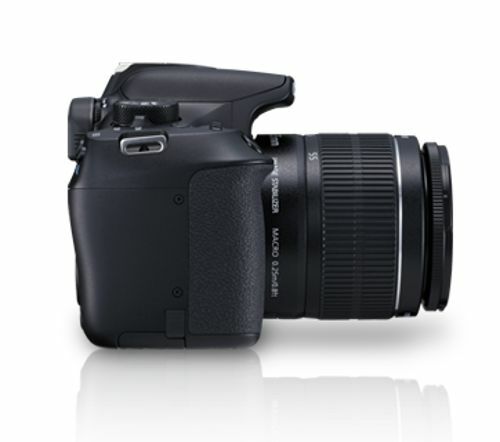 It allows you to capture high quality image with ISO speed up to a maximum 12,800. 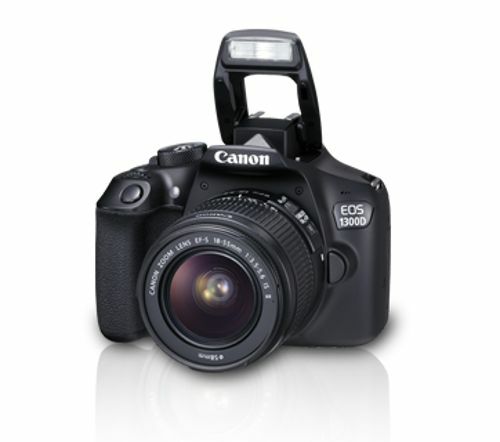 Upload all your snaps on social media with ease with this Canon 1300D camera. The device supports both WiFi and NFC and thus can be connected to your mobile phone or laptop without any fuss. With the help of NFC, you can connect your mobile to it wireless and transfer all the images. 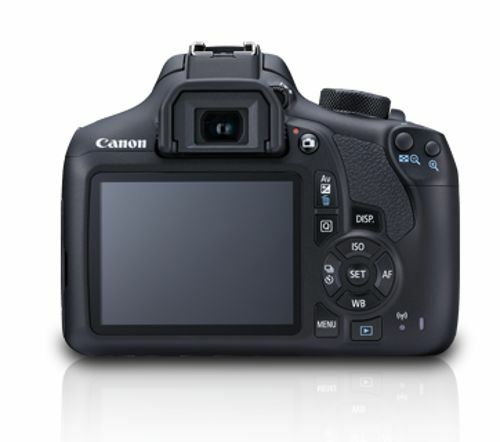 EOS 1300D is also compatible with the Connect Station CS100 photo storage device, allowing you to view the photos on TV screen. Automatically set by the focus method. AC power can be supplied via household power outlet accessories. Connection to smartphones Images can be viewed, controlled, and received using a smartphone. Images can be sent to a smartphone. Connect to Connect Station Images can be sent and saved to Connect Station. Dimensions (W x H x D) Approx. 36.2 x 14.7 x 49.0mm / 1.4 x 0.6 x 1.9in. Weight Approx. 45g / 1.6oz. Dimensions (W x H x D) Approx. 67.0 x 30.5 x 87.5mm / 2.6 x 1.2 x 3.4in. Weight Approx. 85g / 3.0oz. Power cord length Approx. 1m / 3.3ft. Dimensions (W x H x D) Approx. 129.0 x 101.3 x 77.6mm / 5.08 x 3.99 x 3.06in.